From January 26th to 29th, HYB participated PaperWorld Expo 2019 which was held in Frankfurt Exhibition Center. This was the tenth time that HYB exhibited their newest copier toners and toner cartridges on the event. 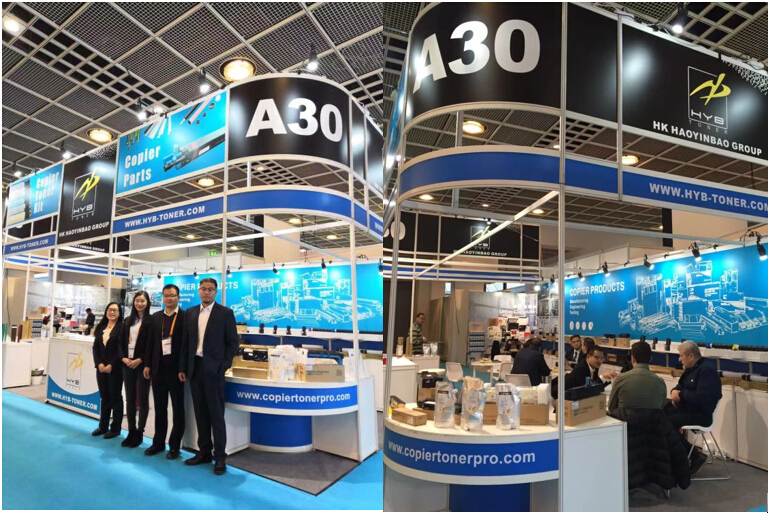 HYB showcased high quality toners and toner cartridges on the exhibition which attracted many visitors and won consistent recognition of distributors or customers due to reliable quality, powerful strength and long-term stable operation. It also helped to increase customers’ confidence in HYB brand and strengthen communication with customers. HYB produces and provides a full range of consumables that are compatible for popular A3/ A4 copier machines and MFPs like Ricoh®, Kyocera® Mita®, Konica® Minolta®, Canon®, Xerox®, Sharp®,Toshiba®, Panasonic®, Olivetti®, Utax® etc. Over the past twenty years, HYB has been always insisting on the road of independent innovation, which leads to success in the fields that HYB involves.